Pick a Category then CLICK on an Image to Order FREE SHIPPING ON ALL U.S. ORDERS! 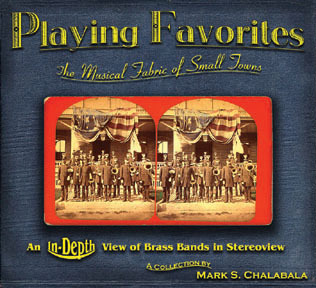 Description: Playing Favorites - The Musical Fabric of Small Towns - 263 pages hardbound with plastic stereoviewer included. 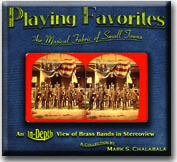 See small town American brass bands in 3-D the way the orginal photographers intended. Limited edition of 750 books.